The Alien Invasion Has Arrived! The moment long feared has finally arrived, as evil aliens have touched down and invaded your high school! 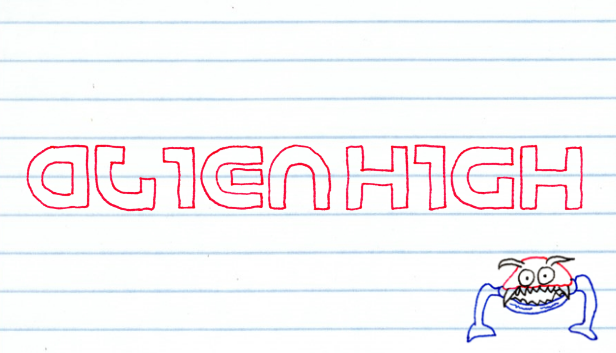 Alien High is a brand new interactive story/RPG hybrid game from Ape Apps built off of the versatile Level Up engine. You are an ordinary student at Roy Munsion High School just minding your own business as usual, when suddenly an invasion of evil alien forces descends upon your school. The choices you make throughout the game will drive the course of the story line and change the direction of the game. No two play-throughs will be the same, and there are many different endings available for you to find, discover, and unlock. Along the way you will meet a wide range of characters who will either help or hurt your progress along the way. How you interact with them will determine the direction the story takes next. Will you end up saving the school, or will you let the building go up in flames? Let your actions decide how the story unfolds! Alien High is available now for free on the Google Play, Amazon, and Windows 10 app stores. You can also find it through the Microsoft store on the Xbox One console. And if it's not available for your device (iOS users) or if you just don't like apps, you can play the full game for free on any device through the web browser on Ape Web Apps!